At first glance there’s nothing much to see. But the rock pools are full of secrets. Nestling in crevices ... hiding in the seaweed ... camouflaged against the rocks ... What creatures will you find? Written and illustrated by Narelle Oliver. 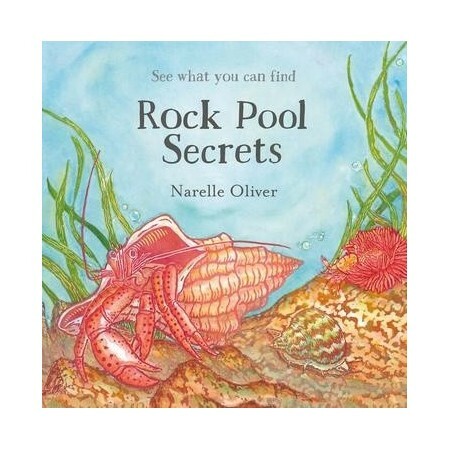 Rock Pool Secrets features beautiful linocut artwork by award-winning author/illustrator Narelle Oliver and includes big, easy-to-use flaps and a glossary of rock pool creatures. 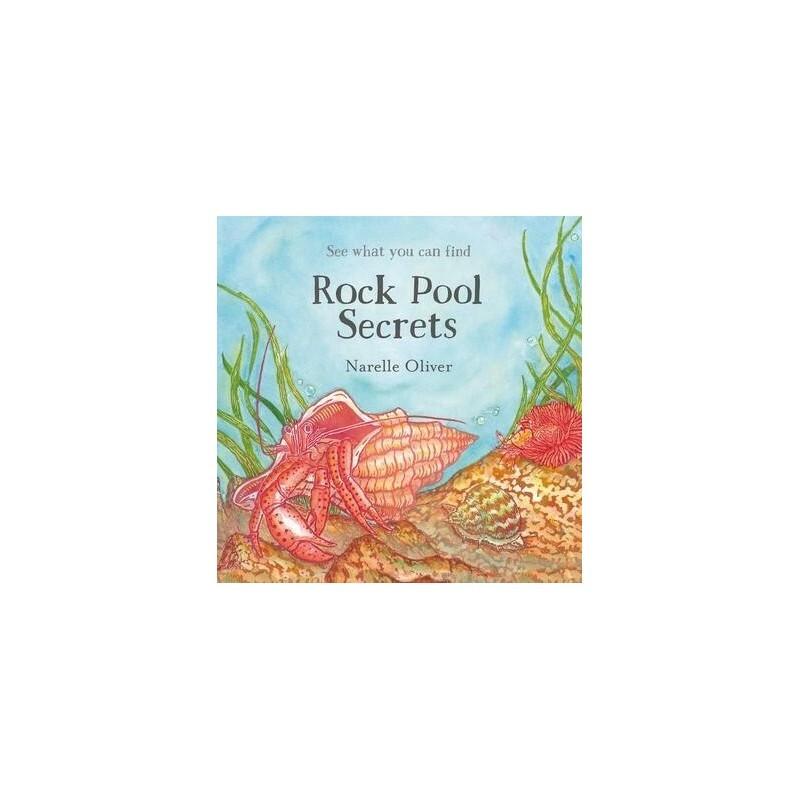 An engaging and elegant text by Narelle Oliver introducing young readers to the wonders that can be found in rock pools. Has large, library friendly flaps, easy for young children to use, and contains a glossary giving information about the different creatures found in rock pools. Readers will be introduced to many creatures who call a rock pool their home: colourful crabs, tiny shrimp, sea slugs, goby fish and turban snails, brought to life by Narelle's colourful linocut artwork. Hardcover. Colour illustrations. 26 pages. 25.5cm x 26cm. A beautiful book with lots of information on different aquatic animals. It has lovely pictures and the information is good, however, I found the words weren't as catchy or lyrical as they could have been so I give it 4 out of 5.